or people who resided at Beechholme (Kensington and Chelsea District School previously Banstead Cottage Homes). As a result of reading about the new plaque that BHRG member Ted Bond arranged, to commemorate the lives of the Beechholme staff and boys who were killed in WWI, Rachel Stapleton contacted us and offered to research those listed on the Roll of Honour. Members of BHRG were delighted to accept and Rachel and her husband have already made a start. As a result, a new section has been added to the website and Rachel's research can be accessed using the links below. Should you have any information on the men listed, or if you come across a link that does not work, do please let us know here. This book continues to be the most frequently requested of all BHRG publications . . .
One hundred pages featuring Beechholme history, numerous photographs and memories. This is a far more comprehensive book that the original booklet. Copies are available locally from The IBIS bookshop in Banstead High Street (opposite Waitrose), or to order by post at £9.99 plus post and packing. Wherever you are in the world, we can get a copy to you. We can send them to someone else on your behalf if you wish or any other option you care to suggest. 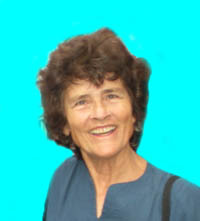 Contact Jean, our Publications secretary at BHRG books . Of course we will continue to collect your photographs and memories of Beechholme, and if you have the facility, you can even upload your own images, or comment on existing ones on our Photographic Archive, here. The earliest photos come from about 1895 when Beechholme was still the Kensington and Chelsea District School. Is this the oldest Beechholme kid? Ron's son, Gordon wrote to us some time ago. "I was trying to get a copy of the Beechholme book to give to my dad but it is Out of Print. He attended there between 1923 to 1933 approximately." We quickly established that Ron left Beechholme on 27th October 1933 and sent Gordon an electronic version of the old book. 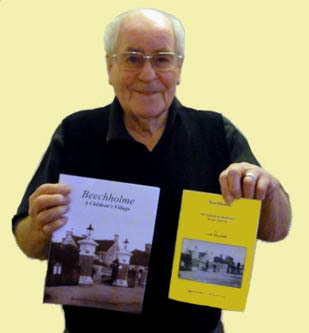 As you can see from the photo, Ron now has a copy of our most recent book on Beechholme and will hopefully let us have a few memories of his time there. 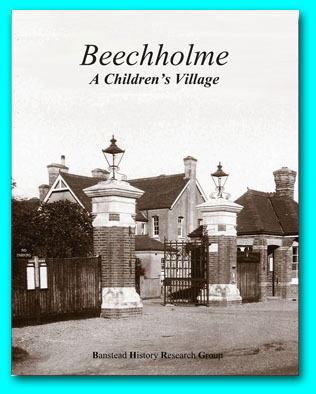 Details of BEECHHOLME A Children's Village are available here. "The layout map at the back of the book has some of the houses in a different order than I recall. From November 1961 until closure, Drake was next door to Kerria and opposite Fir. Almond was next door to Acacia. I can only assume that the names of some houses changed at some point prior to that. This is how I remember the houses – starting from Kerria and going down the street and back up the other side. The top end is most definitely correct for the time. Kerria, Drake, Hazel, Willow, Ash, Staff Quarters, Superintendent’s House, Nursery School, Acacia, Almond, Pine, Oak, Chestnut, Maple, Laurel, Sick Bay, Rowan (closed, remodelled and opened as staff quarters), Thistle, Jasmine, Lime, Larch, Beech, Laburnum, Lavender, Primary School, Offices, Chapel, Cedar, Elm, Fir, Rendel. You might get some feedback on this from other past residents." Joe "Gerry" Steed (Beechholme 1961 - 1966) also agrees with the listing above. You're right, Almond was always next door to me in Acacia and Drake was always next to Kerria. Why some houses switched names I have no answer for in the early 50s I was in Cottage 10 which was named Myrtle then Willow. When I left Acacia in 1959 I went to Beech which was now the name of the former Willow which I assumed traded its name with the house next to Ash. 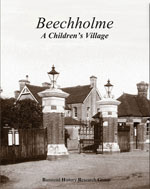 More reaction to the book - Well done for producing the new book Beechholme A Children’s Village. It is brilliant. I notice the back cover has a photograph of the eastern end of the avenue with what looks like Mr. Bray’s 1936 Standard 9 standing outside Elm or Cedar. I cannot read the number plate on the enlargement but it should read DPB 937. The picture would probably date to about 1959 or 1960 as later on the car became a bit neglected and the back bumper went rusty. Also later on they laid beech hedges around the front gardens instead of the temporary chestnut paling fences. I have noticed one mistake in the new book. On page 88 there is a photograph of a gentleman and it is captioned Roger Armstrong. I am not at all sure who this person is, but it is not me. I expect that whoever it is will have also emailed to tell you the same. Note from webmaster - thanks for your feedback Roger. I am sure not many people would remember a vehicle registration mark from that long ago. Ralph M. sends his apologies for the image error. So far no one has come forward to claim that is his photo - yet another mystery. Want to apply for Beechholme records? My records were obtained by following Valerie's advice. I emailed London Metropolitan Archives on 2nd December and received a response on the next day that they were dealing with my query. On 16th December they emailed that they unfortunately had no case file or records of my time in Beechholme, but they did have an L.C.C. index card with some brief details on it. I decided that I would like to see this. I had to supply a copy of the main page from my passport and a copy of my driving licence together with a current utility bill. I heard nothing for quite a long time but on 5th February I received a very nice letter from a social worker at the L.M.A. explaining the information on the index card copies. The index card related to my earlier stay in another childrens home, Shirley Oaks, which I remember well. I had not known when I was at Shirley and had thought that I might have been about age 5. The index card confirmed that I was there in September 1951 while my mother was recovering from a gall bladder operation. I had actually just turned 3 years old. I have vivid memories of Shirley, of being taken for walks in a crocodile, of being told off for day dreaming, of sitting round in a circle with lots of other children and being passed a bowl of dripping to spread on dry white bread at supper time, of lying in a dormitory with a blue nightlight. The Shirley index card gave full details of my parents, my father's occupation as a cleaner at Lyons cake bakery earning £6 a week, Mother's illness and the fact that I had been immunised for chicken pox. The covering letter gave details from a coded card, and from the admission and discharge registers at Beechholme. These conformed the dates of my original admission to Beechholme in 1956, my discharge to Queen Mary's Hospital and my re-admission 15 months later, and final discharge. On the face of it, not very much information, but to me, absolutely amazing and really important. They also sent me some pictures of Shirley Oaks, and some of Beechholme, including the interior of the swimming pool and gym. Meet Jean Middleton. Jean's father was Frederick Cogan who was Deputy Superintendent at Beechholme and eventually, along with Superintendent Don Dicker, had responsibility for closing down the school. Jean contacted us after coming across your Beechholme memories on this site. For years she has kept a lot of her father's documents always thinking that one day they should be placed somewhere safe and retained as public archives. Jean's parents looked after the kids in CEDAR house and Frederick Cogan completed a project on the history and the day to day running of Beechholme from 1880 to 1964. 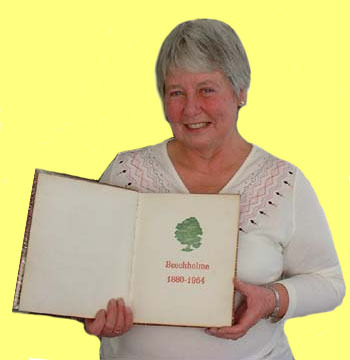 Jean's contribution includes minute books dating back to the early 1900s, a large book containing the Government regulations for such schools, numerous copies of THE BEECHHOLME MAGAZINE, photo negatives, plans, and even the original weather vane. Since Jean gave us this collection of photographs, many of you have contacted us with new information. This is now shown alongside each photo shown in our gallery, but as always we would like more, so take another look and let us know. Mail the Webmaster.....He ALWAYS replies! 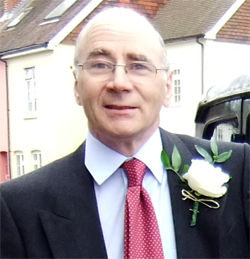 Peter Eliot has made contact with numerous Beechholmers over the years since he left the school. He has collected two volumes of letters, photographs and newspaper cuttings and, having recently retired, he decided that this precious collection should have a more permanent home. That being the case, he has sent us all the originals. Our intention is to retain them in our archives held by the Banstead History Centre at the local library. There, all the material will be available to researchers and will provide an excellent source of information. We appreciate that there may be items of a sensitive nature in the collection and every item will be vetted (and if necessary removed) prior to making it available to the general public in a few months' time. If you know of any item that you do not wish to be included, please contact me here and we will of course respect your wishes.